Avatar Group photo. 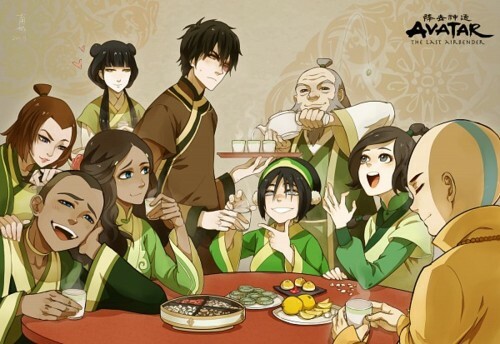 A group photo of Aang, Katara, Suki, Mai, Ty Lee, Sokka, Toph, Iroh, and Zuko.. Wallpaper and background images in the Avatar le dernier maître de l’air club tagged: sokka katara ty lee suki toph iroh zuko mai aang. A group photo of Aang, Katara, Suki, Mai, Ty Lee, Sokka, Toph, Iroh, and Zuko. This Avatar le dernier maître de l’air fan art might contain table à dinner and table à dîner.